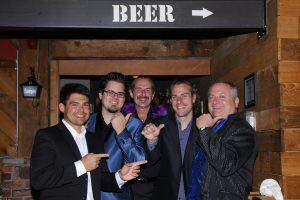 The Wingmen are a fun party band, performing a variety of hit songs and specializing in decades of rock. Offering a unique and completely live experience, The Wingmen feature several lead vocalists and multi-instrumentalist members. Performing hit songs that span over several decades, from the 60’s, 70’s, 80’s, 90’s 2000’s & today!